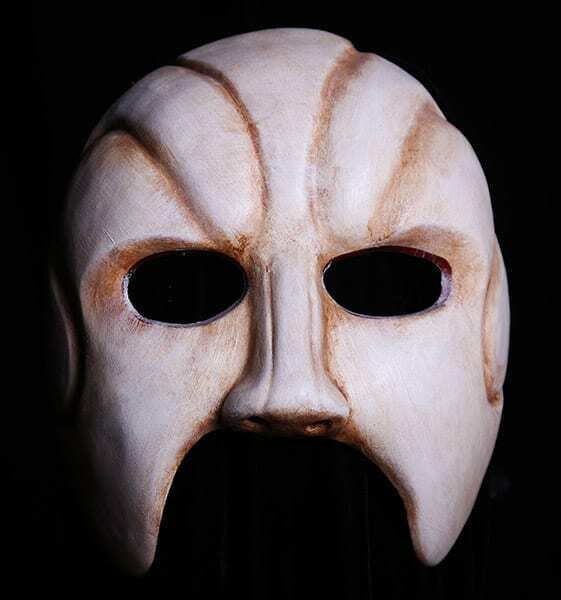 Greek Chorus 2: This mask for tragedy was originally named nurture and was designed for the women’s chorus from The Trojan Women. The design is based on make-up of the Chinese Opera. The mask has the qualities of pride, love, calm, joy, anguish and fear. Chorus: O King. We are frightened. The ship of Thebes is ghosting in alien waters. She is silent, her sails tattered. No one is left on the tilted empty deck. We are dying in the red waves. Atoned for what sins we know.